For the second time in two years, Kansas and Kentucky take the court against each other, and once again the game has a backdrop of emotion for the KU faithful. 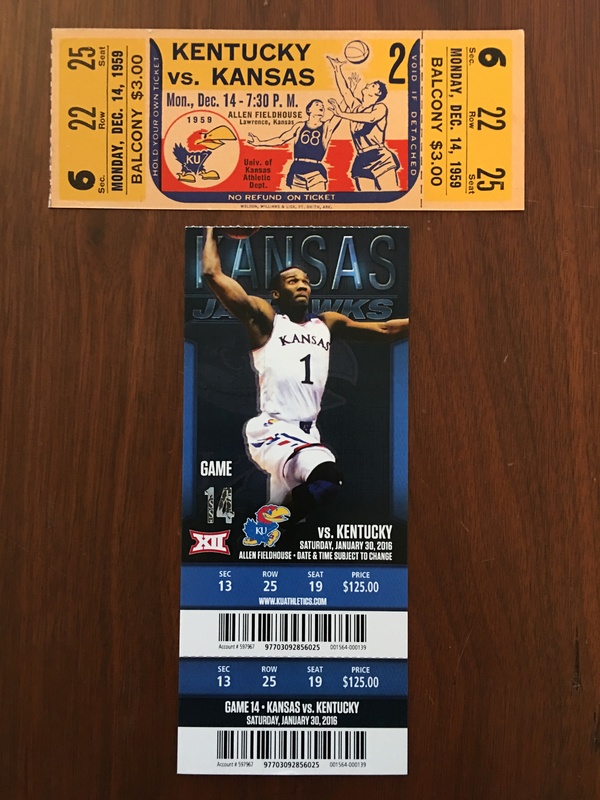 Ticket from the first KU-UK game in Allen in 1959, and one from last year’s game. It’s obviously a big game – two of basketball’s bluest of blue bloods, both ranked in the top four, taking the court against each other. In many ways, Kentucky has more at stake. 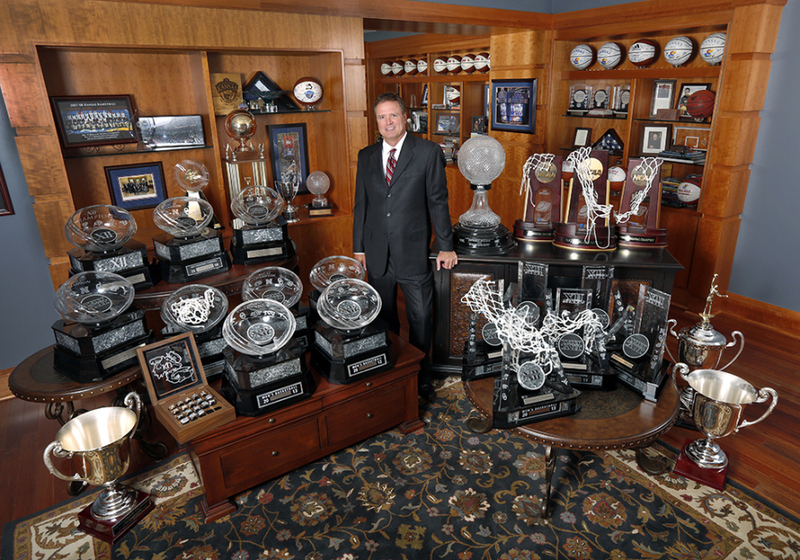 As it’s at Rupp Arena, Kentucky is the favorite and has the pressure from being expected to win. In addition, the SEC is recognized as a weaker conference than the Big 12, so winning the conference title may not quite mean as much because Kentucky won’t have the same opportunities to “shine” against quality opponents that KU does as it relates to getting a good seed for the NCAA Tournament. 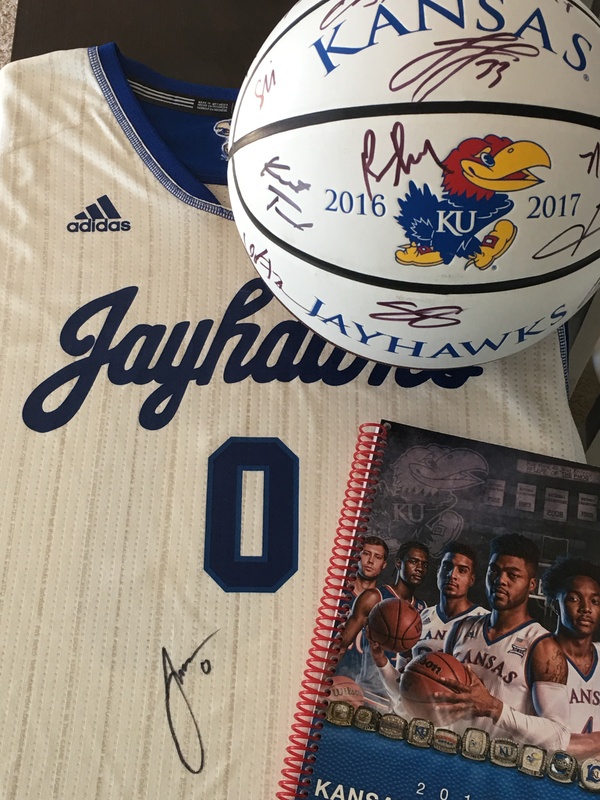 The reason it’s a big game for Kansas however, isn’t because of what’s on the line if the Jayhawks lose, it’s a big game for Kansas because it’s important to see how the Jayhawks respond. I’m not into moral victories, but if KU is intense and focused throughout the game with Kentucky and maintains a high level of effort, I’ll be satisfied. Against West Virginia earlier this week, there was a possession around the five-minute mark when the Jayhawks barely attempted to defend a three-point shot from the corner and then gave a lackluster effort on the resulting rebound. It was at that point, after numerous moments of maddeningly inconsistent effort, that I declared the game was over – all that was left to find out was whether the Mountaineers would rush the court. No mid-season game can truly be considered a must-win game, but the Jayhawks simply have to muster-the-will against Kentucky. 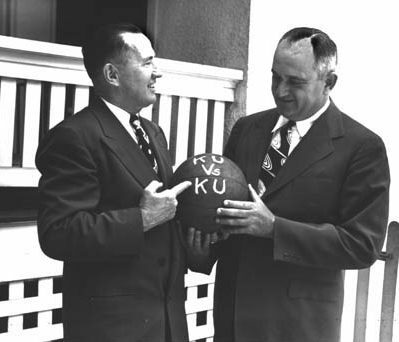 I want to see KU display the grit and determination that a title-worthy contender has to possess. The loss to West Virginia, the distractions (at the very least) swirling around the team from the investigations, Bragg’s absence, the bright lights of playing in THE marquee game of the weekend (if not the month or season), an amped Rupp arena poised to explode in full-throated roar at any moment to rattle the underdog Jayhawks – these are all excuses that can be used to explain why Kansas could struggle during the game. 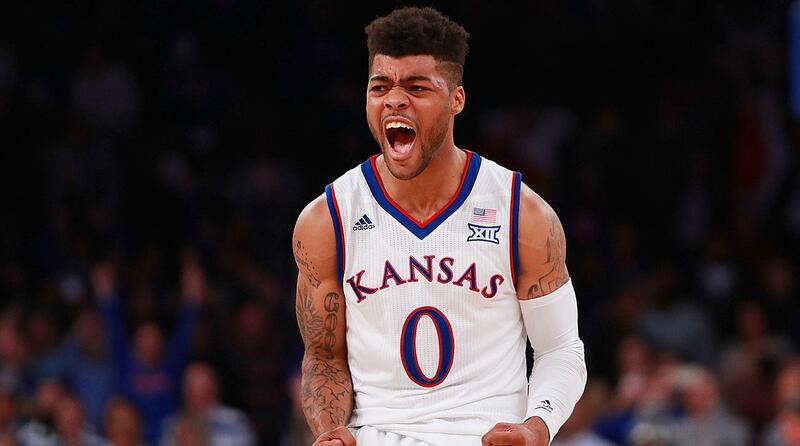 My prediction for the game however, is this: Frank Mason will be the savior, steadfast and true, and come to the Jayhawk’s emotional rescue. Mason will come prepared to lead the team by sheer force of will fueled by the party-size bag of chips that will be on each of his shoulders. Every slight, ranging from questions about his height to questions about how he will be able to keep up with the “more talented” Kentucky guards to questions about the overall potential of the team to questions about the overall character of his team, will trigger a fearless drive to the basket, a pinpoint pass to a teammate, a nothing-but-net three-pointer. And with Mason’s example, the rest of the team will follow – intense and focused. Prev A Moment of Silence and Answering the Question: Why Collect Memorabilia?